This September we heard on the news that Hurricane Ike was coming. So, we packed all our important stuff and left for Mississippi, where my uncle and his family live. We stayed there for about a week. During that week we were always watching the news. Wouldn’t it be funny if we saw our house all in pieces on the news? But, we had a great time with our family because we don’t visit them too often because they live far away. When we heard it was safe to go home, we went back to Texas. When we saw our yard we were shocked. There were 15 trees down in our yard. There was no damage to our house. It looked like God put a dome around our home. Trees were everywhere and uprooted. Our lights were turned off, but we got them back on shortly after that. My Grandma, who is a Registered Nurse, lived and worked at the hospital for 8 days! Our yard was by far the worst on our street. The principal at our school said that we don’t have to make up the days that we missed! I was so happy. The bright side of all of this is that I got a break from school and got to see more of my family! Now, some people are still fixing their homes. People with tractors came by on our street and picked up the trees that we had already chopped up. A lot of yards look better. Some people had trees fall on their homes and even had to move into a new house! I know that my family was blessed and that God protected us. I am so happy that we have pretty much recovered and that our house is fine. I’m glad you were out of the way. It is a hassle to evacuate, but it’s the thing to do. I don’t think your parents would have thought it was funny to see your house in pieces on the news. Unfortunately, some people did find out that way. It’s great you had family to go to. What’s really hard for some families is that they don’t, and they can’t take their pets to shelters, and they can’t afford the time in a hotel. It’s a very hard choice to make. In my area in southern GA, we have certain farmers who board horses for hurricane evacuees. We are pretty close to I-75, which is a major hurricane evacuation route for Florida. All the churches open up, and people take food and so forth. We also take collections – after a bad one, there are always some people who are running out of funds. I remember watching Ike’s progress on CNN. It was huge, and it looked like it was headed your way. By the time I called to tell you guys to get out, you were already packing! Good decision! But the best decision, I think, was the one about you not having to make up your school days! And by the way, Cat says if your friends don’t want their tuna, they can sent it to him! We stayed and it wasn’t quite so fun and lighthearted for us. It was terrifying to see the huge trees in our backyard doing the hula. No lights for 10 days and no Walmart or any other store open for a week-like science fiction.We waited in lines for water and food daily to make it. No coffee or news! 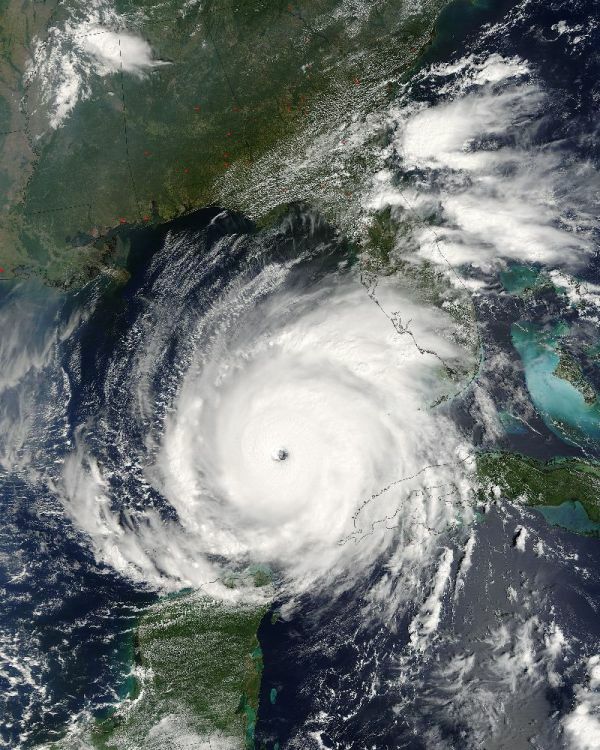 !Terrifying and horrible,but better than the evacuation which took 13 hours to go 200 miles for Hurricane Rita,never again.Fema is a joke. Now imagine that there are persons in this world we live in that live this way all of the time. No electricity, no gas, no water. They would be more than happy with a can of tuna or a few MREs. Instead of trees being hurled at their homes they have bombs and shrapnel coming at them from all directions. Thank whoever your higher power is that you only had to live like this for a few days, not your whole life.